I’ve spent a lot of time recently talking about failure. It’s one of those words, just like sales, that gets a bad reputation. Failure isn’t a bad word! At one time or another in our lives we will be faced with the fear of failure. But if you don’t take that chance – take that first step forward, follow the path unknown – how do you know that you won’t succeed? After all – we need to understand failure to be able to measure success, don’t we? Failure is as a lesson that should catapult you into success – and I am certain that I wouldn’t be where I am today without failure. I talk a lot about how I’ve excelled in business because I’ve made every mistake in the book. But never twice. 1 – Understand why you failed and what you learned. 2 – Get over it ! Most failures occur when we stretch ourselves beyond our limits. Maybe we have too much on our plate. Maybe we’re just seeing the end goal and not considering what it will take to execute flawlessly. Maybe the objective is unrealistic for some reason. In these cases failure will do one of two things to us: it will either force us to cower into a safe place where comfort becomes more important than achievement; or it will stretch the limits of our ambition. The latter will inspire us to apply the lessons we learned from the failure to our next venture. Of course, not every endeavor will prove to be successful. 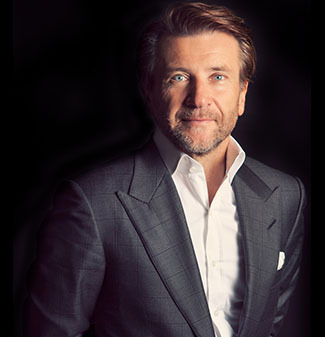 That kind of perfection does not occur for me, for my team at Herjavec Group, or for anyone else ! We win and we lose, and the unexpected can happen at any time. So what happens when you don’t succeed? Do you sink as low with failure as you fly high with success? Not really. And if you do, we have to understand why. I like to think of it this way – Life isn’t a game where every loss is subtracted from your list of victories. My mantra – Failure is never a disaster. For me, failure shows you how to improve, and how to work toward more and better victories in the future. Everyone fails – we just can’t afford to dwell on it. All we can do is identify where and how we failed, choose the best way to avoid repeating it, then move on. All failures carry lessons with them so what have you learned from yours?